The combined operations of the two usually separate organizations will be to reinforce policing and security during Carnival, when Rio is expected to receive over a million tourists. RIO DE JANEIRO, BRAZIL – To ensure the safety of tourists and locals alike during the biggest party on the planet, the Coordinator of ‘Segurança Presente,’ Major Paulo Henrique Nhary, and the Vice President of Riotur, Lucio Macedo, have promised to work together during the Carnival period. Riotur are the official state body who promote tourism in the Cidade Maravilhosa, and Segurança Presente are the successful yet controversial private security contractors who are now in operation throughout much of the city’s touristic and affluent ‘Zona Sul’ (South Zone) and Centro, photo courtesy of Riotur. During Carnival, there will be operations in many of the popular downtown districts, with bases in Praça XV, Largo da Carioca and Praça Mauá in the city center; plus operations around Aterro do Flamengo, Lapa, Lagoa, Copacabana, Ipanema, Leblon, Tijuca, Méier and in the neighboring city of Niterói. Violence marred some of the city’s Carnival celebrations last year, with televised reports of muggings, attacks, and even armed confrontations between rival gangs impacting much of the coverage. Coupled with the ongoing military occupation of the city since February 2018 due to a worsening security situation, the perceived safety of the event will have a big impact on Rio’s reputation as a world-class tourist destination. 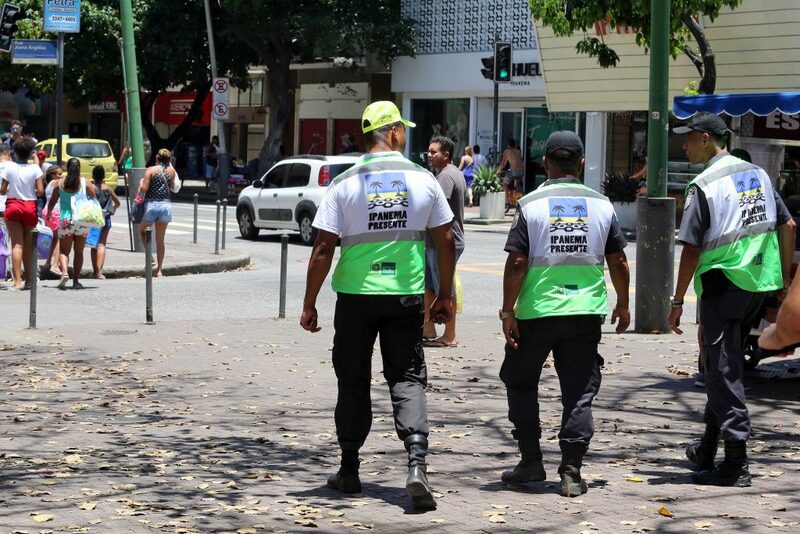 Segurança Presente have been a largely successful yet controversial measure by the local government to curb petty crime in areas frequented by tourists or where there is concern for citizens’ safety.